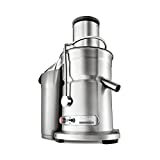 This particular model is great for those who want to be able to juice a large range of different produce, including leafy greens, which many centrifugal juicers don’t work so well with. The price. 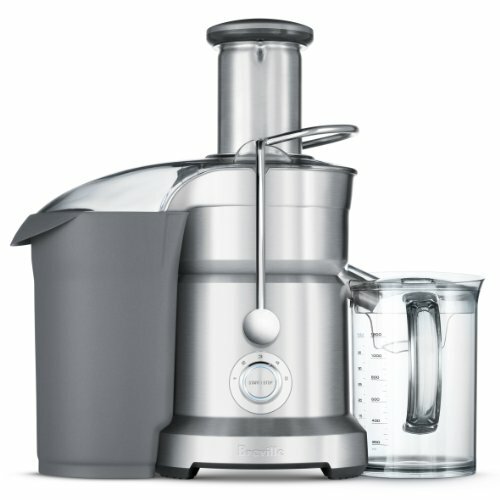 Not the cheapest model on the block, but this centrifugal juicer is certainly a quality one. You do get what you pay for, so don’t let the price tag put you off. 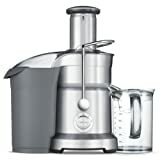 Another Breville juicer, however, this is a top juicer and is a little pricier, coming in at around the $400 mark. The model has an electronic five-speed control, which will allow you to juice leafy greens, as well as soft and hard fruits and vegetables. The feeding chute is a wide 3”, which means whole fruits can easily be juiced, with no need to chop up first, saving you time. Again, easy to clean, with an ejector for pulp, and the other need to clean parts come away without stress or strain.